Mark Kavuma (trumpet); Mussinghi Brian Edwards, Ruben Fox (saxes); Artie Zaitz (guitar on 3 tks); Reuben James (piano); Conor Chaplin (bass); Kyle Poole (drums) + Michela Martin Lerman (tap dance on 1 track). "They resemble the finest amalgam of 50's Blue Note and Prestige line-ups" so said guitarist and sound engineer, Zaitz. It was enough for me, I was halfway there before I'd heard a note! I've spent the past couple of months playing Blue Note CDs on the car stereo so I've got plenty to compare with. Maybe Lee Morgan, Freddy Hubbard or Donald Byrd blowing alongside Benny Golson, Jackie McLean or Stanley Turrentine. I can almost see the Blue Note honchos Wolfe and Lyon nodding their heads approvingly - just as I'm doing as I listen. 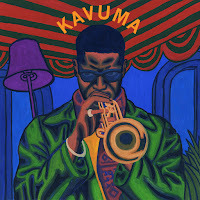 This is Kavuma's debut album as a leader and it is impressive. Fiery and explosive he can, like the Blue Note trumpet players, also blow lyrical on ballads. The poignancy of his playing on Barbar G, a reference to an early romance, is an outpouring of emotion set to his own composition. Ugandan born Kavuma composed 5 of the 7 pieces and arranged the other two, somewhat surprising choices, Carolina Moon and Abide With Me! The former came to his attention via a Monk box set and the latter a reflection of his Christian upbringing. Both are given a totally new look. Edwards and Fox are outstanding blowers - I'm not sure which one is which but one of them has the Golson sound with maybe a touch of Webster or Ike Quebec. There's also a rhythm section to die for with that man Chaplin at the heart of things. Lerman adds the sound of her terpsichorean skills to Church - a reference to a late night hang, The Haggerston in East London where, 'tis said, that Kavuma perfected his performance skills. The trumpet player's c.v. includes being featured as guest soloist with Wynton Marsalis and the Jazz at Lincoln Center Orchestra. He also plays with Jean Toussaint's Young Lions and was on one track of Toussaint's just-released album Brother Raymond. 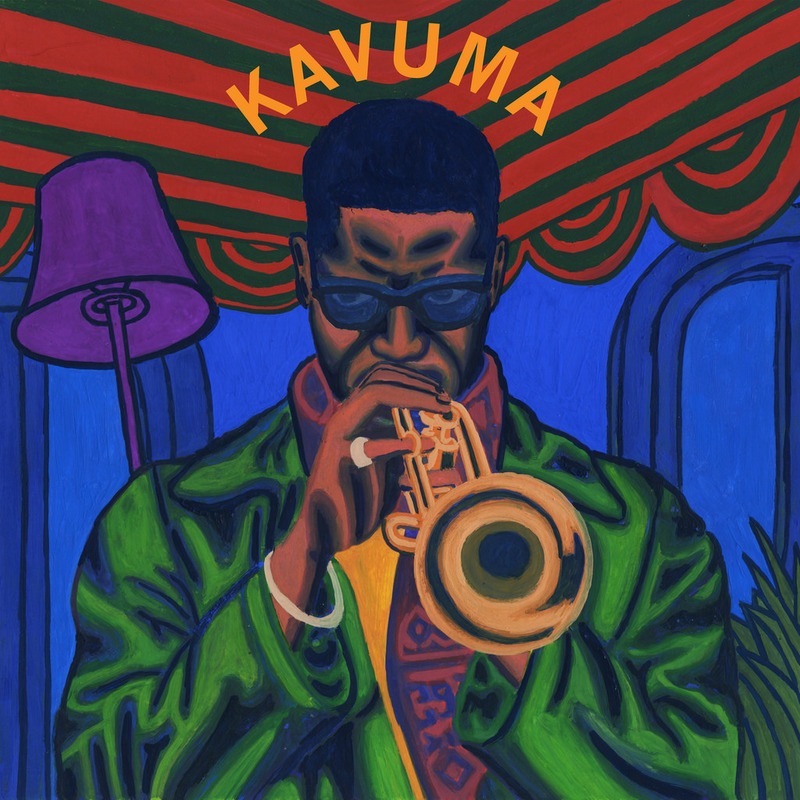 How do I rate this album [Kavuma]? The album, Kavuma, is set to be released on June 16 on ubuntu music UBU0007 with a launch concert at Ghost Notes, London on July 19. *Oli Barton-Wood's Soup Studios which are situated onboard Lightship 95 moored at Trinity Buoy Wharf on The Thames in East London.